Awards for the second year on Thursday, November 1, 2018 at the historic Monumental Church. 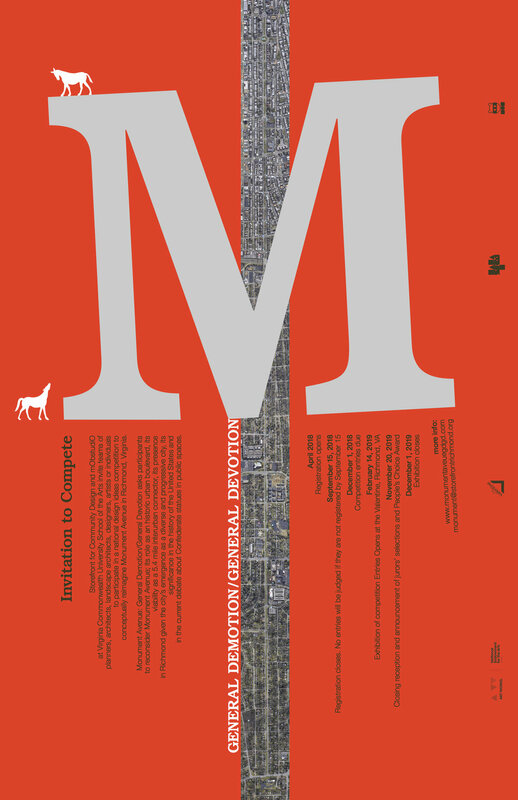 Call for submissions will close September 15. Historic Richmond Executive Director Cyane Crump said, “As Richmond-area nonprofits with interests in historic preservation and neighborhood revitalization, we are delighted to co-present the awards to recognize professionals working in neighborhood revitalization, blight reduction and historic preservation in the Richmond region.” Projects completed after January 1, 2017 located in the greater Richmond area (City of Richmond, Counties of Chesterfield, Hanover, and Henrico) will be considered for the categories of: Best Restoration, Best Adaptive Reuse, Best New Construction, Best Placemaking and a new category Best Residential focusing on single-family projects. We are open for submissions and the portal will close September 15, 2018 at midnight. 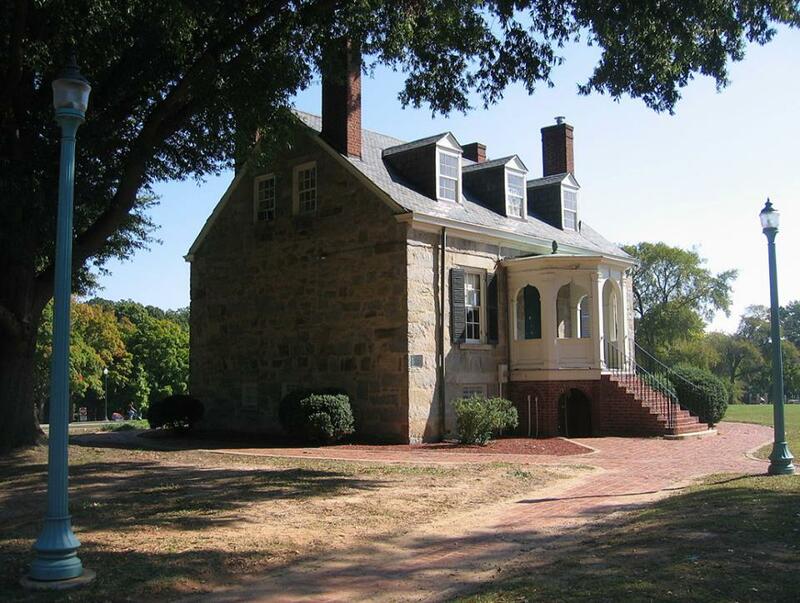 Applications for the 2018 Golden Hammer Awards can be submitted through Historic Richmond's website. As one of the proud "parent" organizations of the Six Points Innovation Center (6PIC), Storefront for Community Design is celebrating 6PIC's 1-year birthday by working to secure many more years of youth empowerment and community ownership in Highland Park. Join our 100x100 Challenge this June to raise funds for 6PIC's operating costs ( think: power, water, Internet + the amazing people that keep it running seamlessly every day). It's easy: be one of the 100 people to give $100 to Storefront, so we can keep the 6PIC goodness flowing for years to come. 6PIC's one year anniversary is June 6th! Come say Happy Birthday! Join us on Wednesday, June 6th 5:30-8:00 for food, dancing, door prizes and 6PIC updates! Can't meet us? 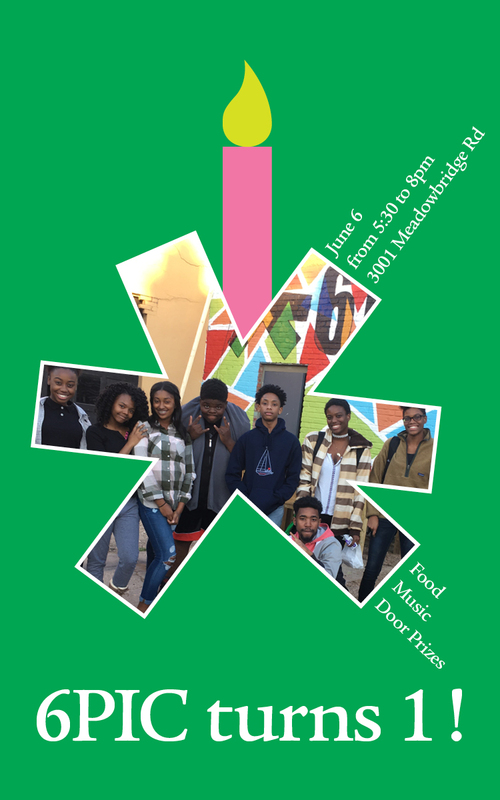 There are still ways to support 6PIC and youth empowerment in Highland Park. Storefront for Community Design is celebrating 6PIC’s 1-year birthday by working to secure many more years of youth empowerment and community ownership in Highland Park. Join our 100x100 Challenge this June to raise funds for 6PIC’s operating costs (think: power, water, Internet + the amazing people that keep it running seamlessly every day). 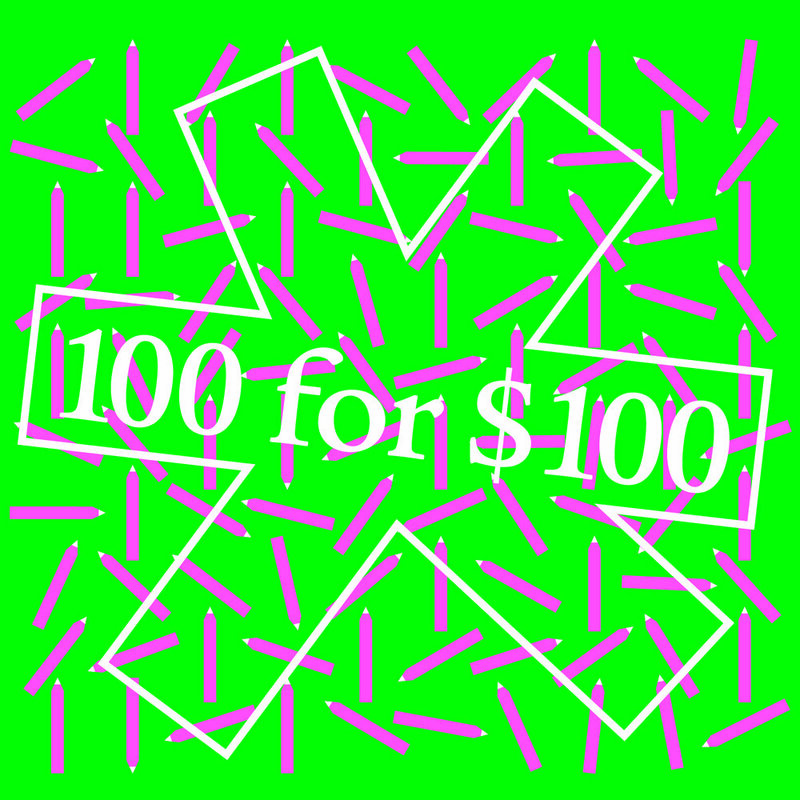 It’s easy: be one of 100 people to give $100* to Storefront, so we can keep the 6PIC goodness flowing for years to come. *Any amount is much appreciated—we just like round numbers. The Six Points Innovation Center's Spring programming has begun. 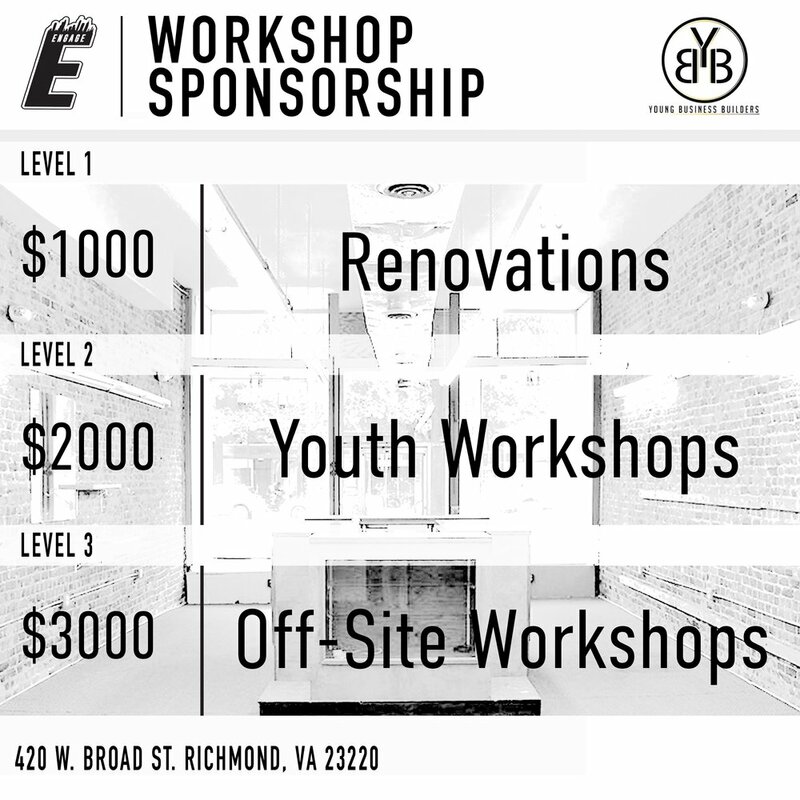 Programming this semester includes Empowerment Hour, Green Team with GroundworkRVA, Lyrics and Beats, ArtStories, Multimedia Street Art, Blackademic in Residence, Design classes, Jobs for Life classes, and Higher Education Preparation and Assistance classes. There will also be various workshops and topics classes for teens in Highland Park who want to engage in arts, environment, advocacy, education & history. Six Points is also proud to launch the program, City Builders, which empowers youth to activism and understanding racism in city policy. Learn more about 6PIC here and check out the spring calendar here. Are you interested in learning more about the nominations for the Golden Hammer Awards this year? Now that the application is closed, we are taking inventory of the amazing range of projects that were nominated for the Golden Hammer Awards. Stay tuned this month as we reveal more about the event. If you didn't get the chance to nominate a project, please make it out to the two big events on November 2nd. Luckily, the night doesn't end there! From 8:15-10, Storefront will be hosting a Golden Hammer Awards After Party bonanza at the Valentine Museum. A $100 ticket's proceeds go straight to Storefront for Community Design and will buy your entry to an evening at the Valentine Museum and Wickham Garden, a dj, an open bar, and a specialty cocktail designed for the event: The Golden Hammered. The Stonestreet Diamond Sign at 209 East Broad Street is getting a updated with the help of the mOb Studio. Students in the studio worked individually to discover new material and surface treatments for acrylic. On Friday, they worked together in teams to layer the new faces of the sign with stenciled shapes and the building address. They carefully choreographed their movements around each other and the wet paint in order to shield overspray and avoid scuffing recently painted motifs. 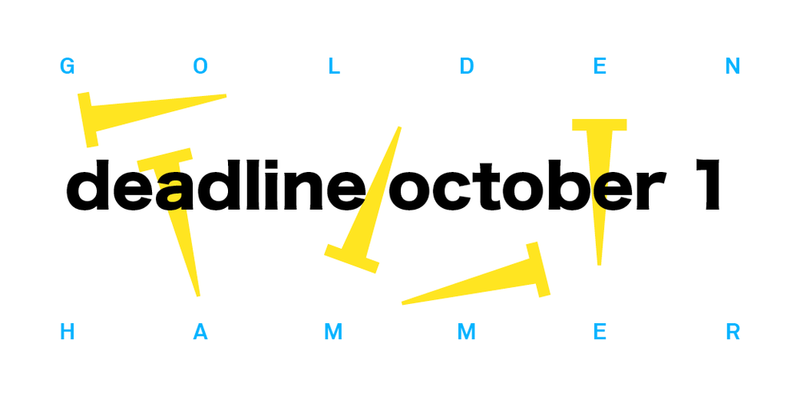 Golden Hammer Awards Submission Deadline! Make sure you submit your application in to the Golden Hammer Awards this Sunday before midnight! If you don't have a project to submit, join us for the awards on Thursday, November 2nd, 2017 and the After Party hosted by Storefront at the Valentine. More details to come!